The MAGNETOSHAPE® ultrafast switching valve offers a new and innovative actuattion principle compared to conventional electromagnetic solutions with outstanding switching time and a compact design, facilitating a very low grid spacing in valve blocks. 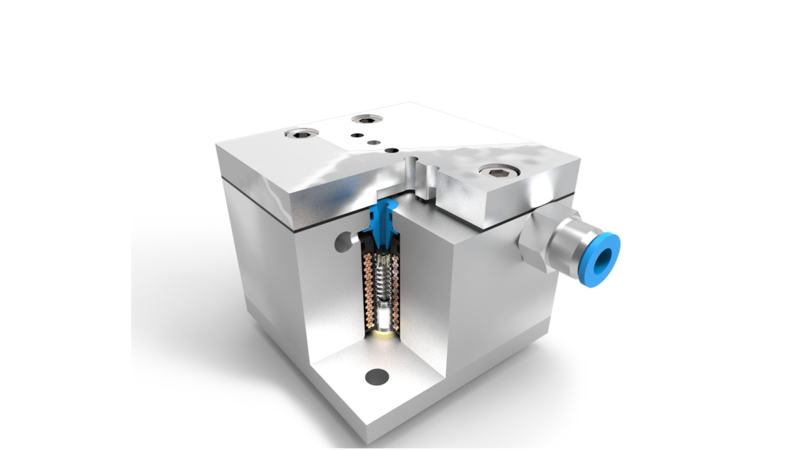 Especially for optical sorting of materials such as seeds, grains, granulates, and minerals by pneumatic ejection of deficient objects, the MAGNETOSHAPE® valve is ideally suited. Switching times clearly below 1 ms and valve block arrangements with nozzle grid spacing below 2 mm can be achieved with this valve concept. We are glad to discuss your specific applications and to adapt the concept to your requirements.